The proposed bake oven policy does not adequately reflect the range of requirements that would foster community use. Bake ovens can be used for private events like birthday parties, but they need some expertise (more than a BBQ). 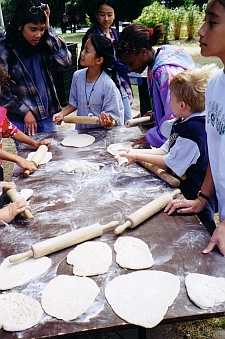 More commonly, bake ovens are used for a long list of open-to-everyone, community-based events (make-your-own pizza days, community suppers, potlucks, food preserving workshops, community baking, City councillors' community picnics, etc). - a) Collaboration with PFR staff. The amount of involvement from PFR staff would vary depending on the needs of any given community, from simply helping access water, kitchen space and bathrooms, to providing oven scheduling assistance, to providing staff. There needs to be clear language in the policy that supports collaboration. - b) No fees for open-access community events, small as well as large. Open-access community-based initiatives are exempt from user fees in the proposed user fee policy here. If this exemption is ignored, fees will discourage involvement by smaller groups and individuals who are donating their time to provide a service to their communities. - c) Coverage from the city's insurance. 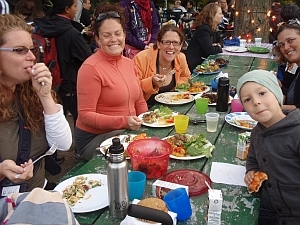 As open-access community-based park activities, these events should be covered by the city's volunteer insurance. Now that last week's bake oven item at Parks and Environment has been deferred (thank you!) until your next committee meeting, could a couple of us come and see you with a little 15-minute presentation one day next week? We'd like to show you some pictures and a 7-minute video of bake oven users' commentary. We'd also like to show you our alternative way of gaining revenue for the City through City-supported community use of bake ovens. 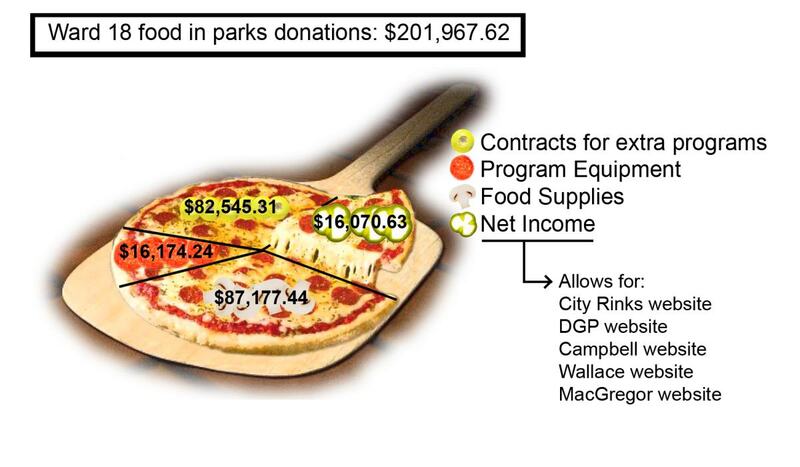 At Dufferin Grove Park, during the last three months, bake ovens helped bring in over $35,000 ("everyone-welcome" pizza days, farmers' market bread baking, Friday night community suppers). All of this revenue was put back into the park programs: CELOS Financial records. We want to make sure that the City's bake oven policy explicitly enables such community uses, not mainly private birthday parties.